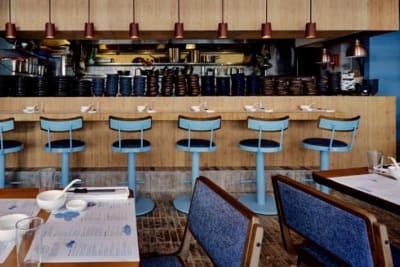 Quan Alley has launched its first Hong Kong location at Harbour City’s Ocean Terminal. 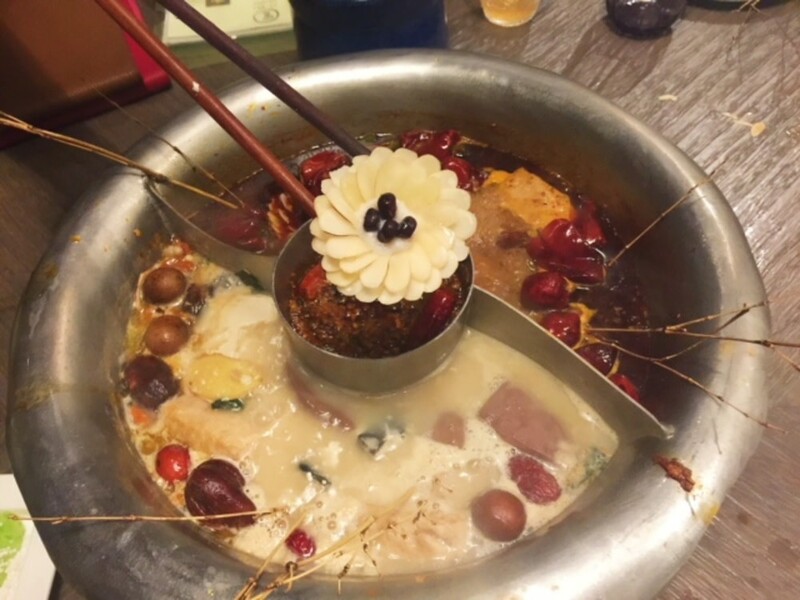 Renowned in Taiwan for its imaginative hotpot menu, Quan Alley was founded in 2012 in Taipei and rose quickly to popularity thanks to its high-quality ingredients and unique artistic presentation. 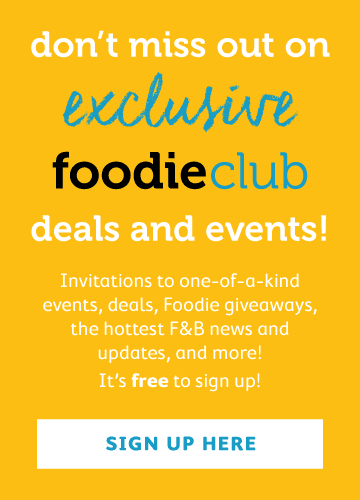 We recently visited the TST location to see what all the fuss is about. All hotpot meals being with the all-important soup base, and our order of combination pot ($328) with spicy soup and oriental beauty soup (a creamy broth made from pork bones) arrived in a hefty pot encased in a handcrafted metal basket. 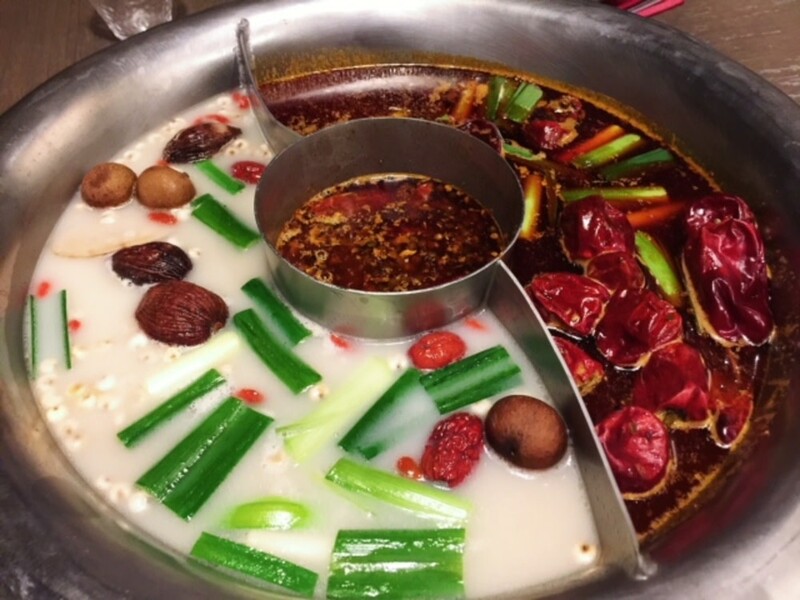 We particularly liked how the numbing Sichuan peppercorn and other spices were captured in the middle round recess, allowing the flavours to permeate the spicy soup without any of the hard spices getting stuck in the hotpot contents as we fished them out. 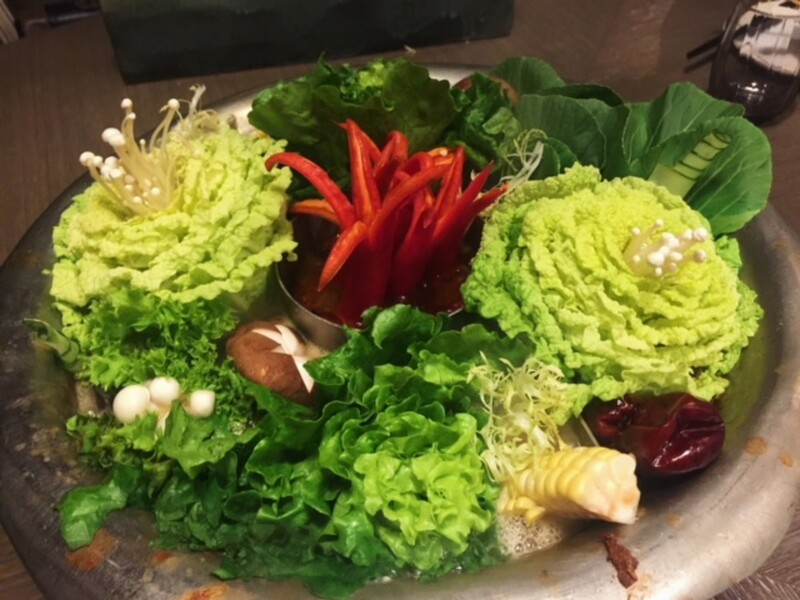 The vegetable platter ($238) looked like a wedding-table centrepiece! 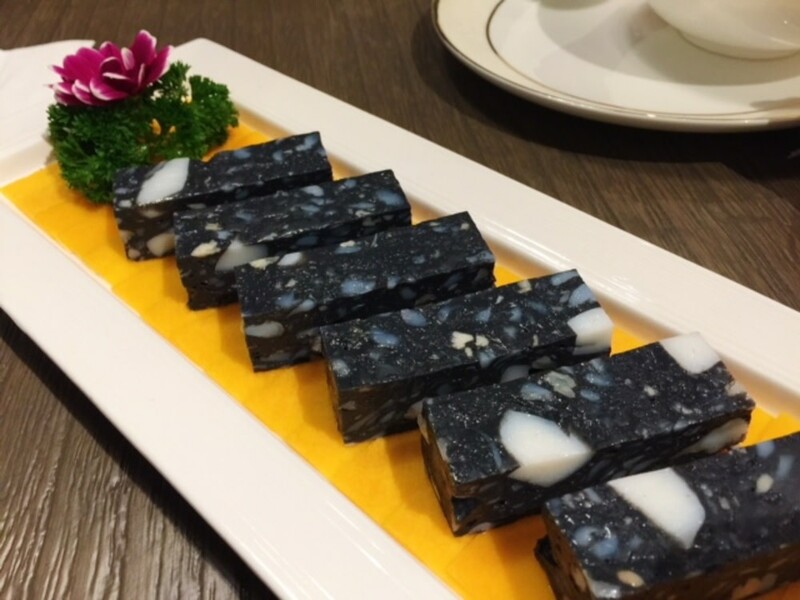 Rectangles of minced squid with chicken soft bone ($128). These bars had an interesting crunchy, chewy texture, although they were not our favourites. 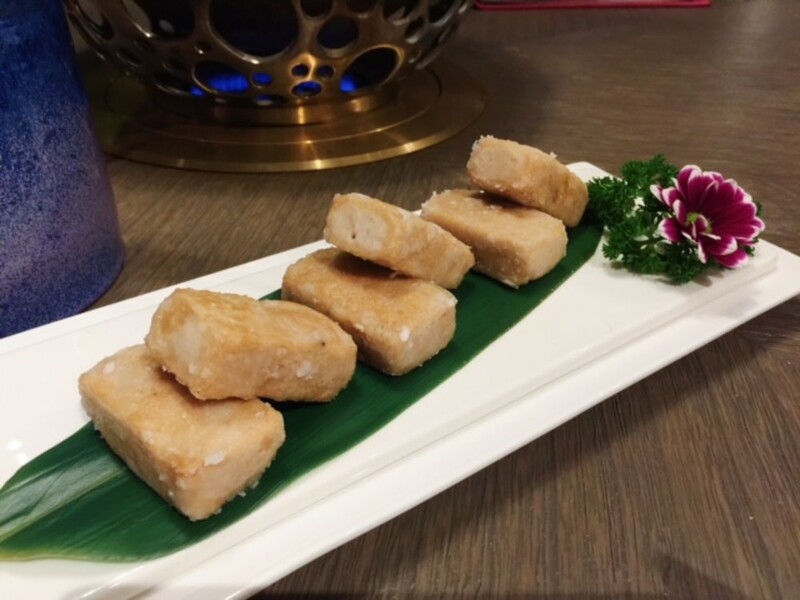 A play on the traditional Taiwanese pineapple cake, these pineapple cakes ($138) had minced pineapple inside in addition to shrimp, pork and squid. This was a unique dish, but we felt satisfied having just one each as the bars were quite dense. 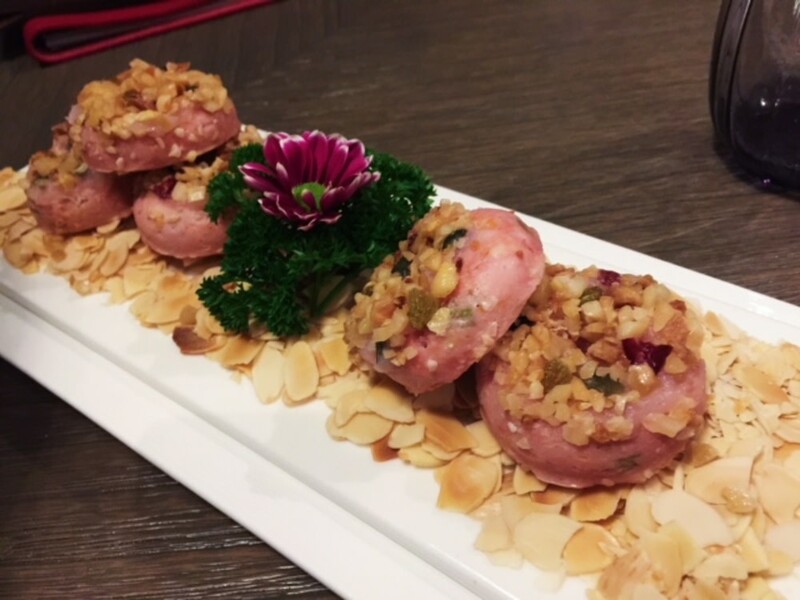 Another innovative item, these are mini doughnuts ($128) made of squid, chicken soft bone, carrot, pumpkin and sweet peas, dotted with nuts. 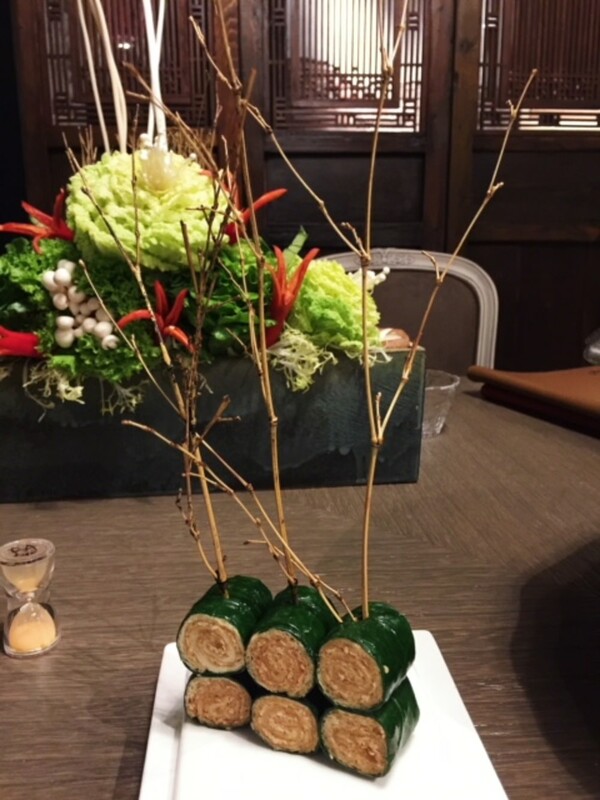 Wrapped bean curd with sesame paste and boiled spinach ($108) arrived skewered with thin branches. We loved the texture of the bean curd, which soaked up plenty of the delicious broth. 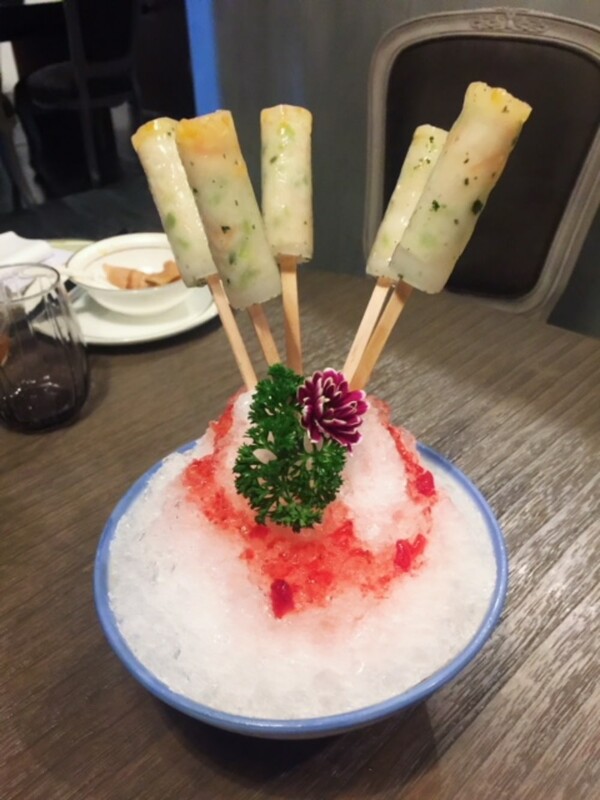 A Hong Kong–only special, these pretty almond daisies ($168) are made from minced shrimp, slivered almonds and corn, taking up to four minutes each to craft. One of our favourites of the meal, these daisies were not only delicious and beautiful to look at, but they (amazingly!) held up well in the hot soup. 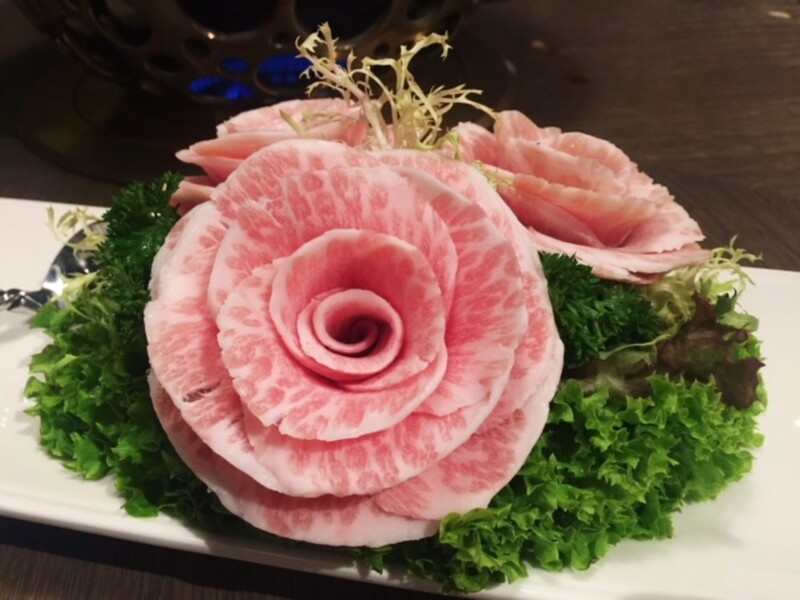 These meaty roses of pork neck ($298) were well marbled and juicy. Beef short rib ($298) showcased tender, high-quality meat. Lollipops ($128) of minced shrimp, pork neck, cuttlefish and candied kumquat. 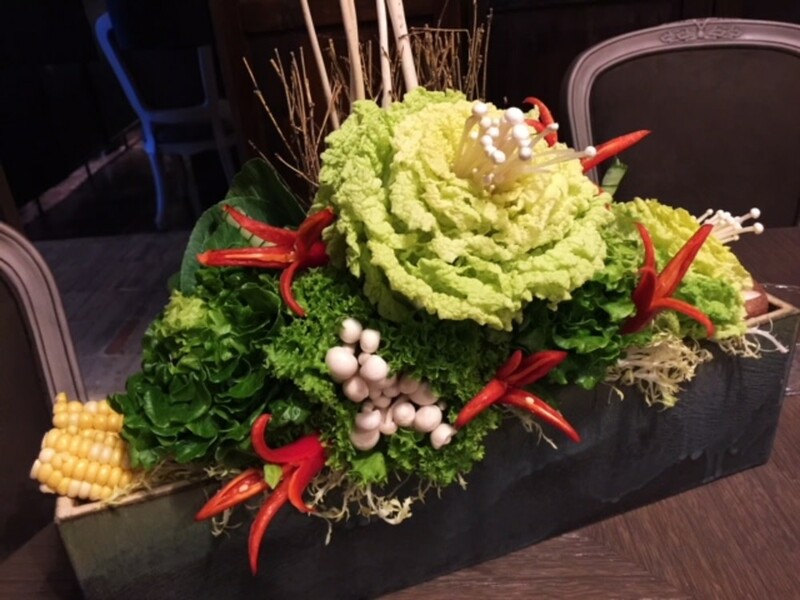 Dismantling the floral-like arrangement of vegetables is a feat that should only be attempted by the professionals at Quan Alley. 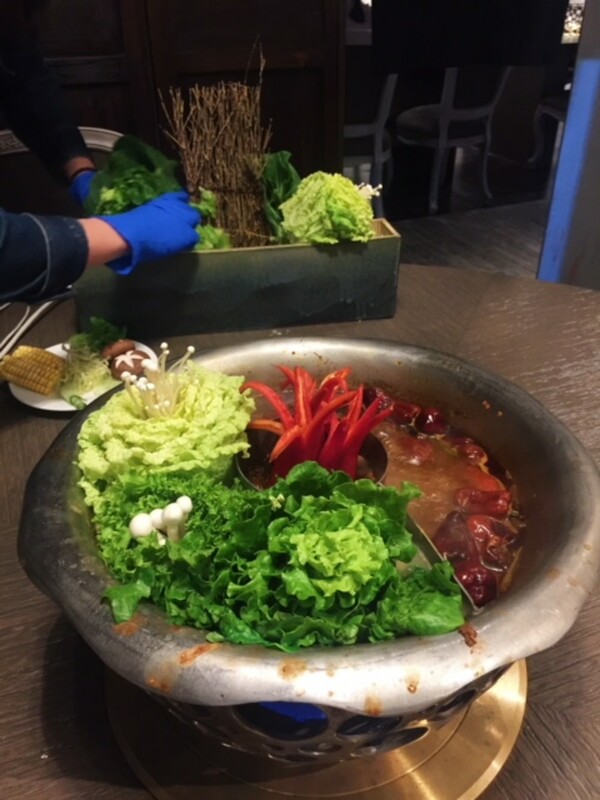 Each “flower” was expertly tucked into the bubbling pot, providing a nice range of healthy veggies. 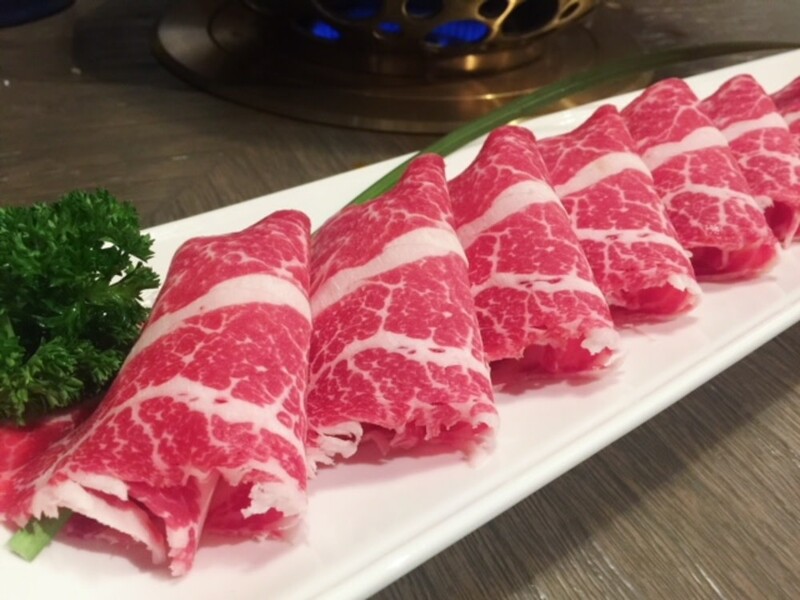 An unique, fun addition to the hotpot scene in Hong Kong. 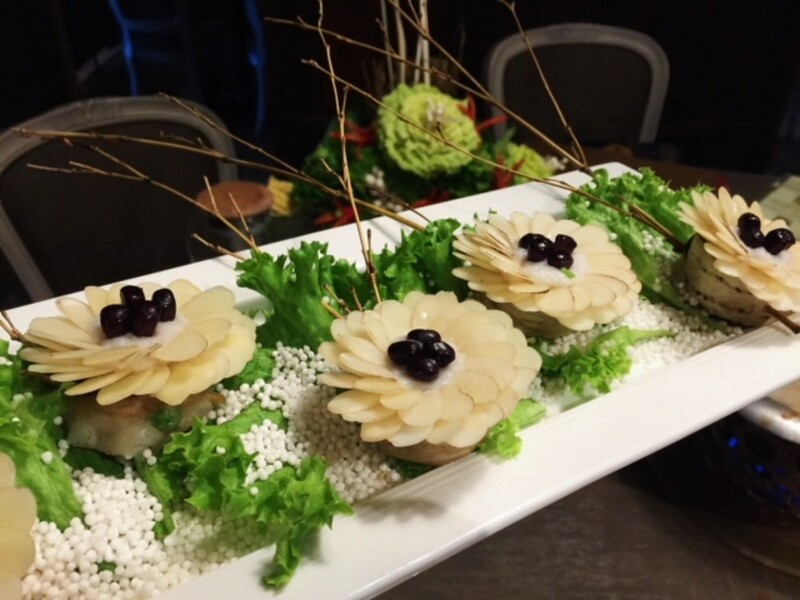 The creative presentation sets Quan Alley apart from the rest. 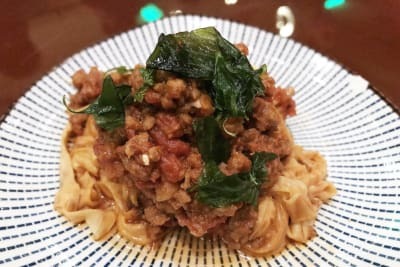 We liked how the spicy numbing soup base packed just the right amount of punch without going overboard with oil and spice, leaving us happily satiated with no regrets the following morning. We will definitely be back, but perhaps we’ll stick to the more classic items like pork neck, beef and a daisy or two and not venture into ordering some of the more quirky dippers.